High-intensity interval training (HIIT) is frequently used in sports training. The effects on cardiorespiratory and muscle systems have led scientists to consider its application in the field of cardiovascular diseases. The objective of this review is to report the effects and interest of HIIT in patients with coronary artery disease (CAD) and heart failure (HF), as well as in persons with high cardiovascular risk. A non-systematic review of the literature in the MEDLINE database using keywords ‘exercise’, ‘high-intensity interval training’, ‘interval training’, ‘coronary artery disease’, ‘coronary heart disease’, ‘chronic heart failure’ and ‘metabolic syndrome’ was performed. We selected articles concerning basic science research, physiological research, and randomized or non-randomized interventional clinical trials published in English. 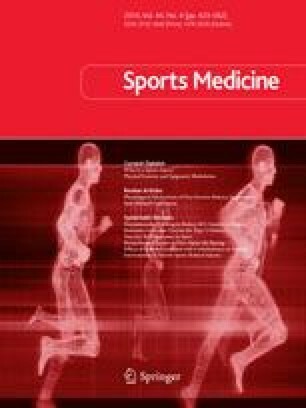 To summarize, HIIT appears safe and better tolerated by patients than moderate-intensity continuous exercise (MICE). HIIT gives rise to many short- and long-term central and peripheral adaptations in these populations. In stable and selected patients, it induces substantial clinical improvements, superior to those achieved by MICE, including beneficial effects on several important prognostic factors (peak oxygen uptake, ventricular function, endothelial function), as well as improving quality of life. HIIT appears to be a safe and effective alternative for the rehabilitation of patients with CAD and HF. It may also assist in improving adherence to exercise training. Larger randomized interventional studies are now necessary to improve the indications for this therapy in different populations. All of the authors contributed to the writing of this manuscript. This paper was funded by the EPIC Foundation. The authors have no conflicts of interest to declare that are directly relevant to the content of this review.